As we saw after Superstorm Sandy, Design is Critical to the resiliency of buildings and infrastructure. Towns with good dune systems did much better overall than those with poor or no dune systems. 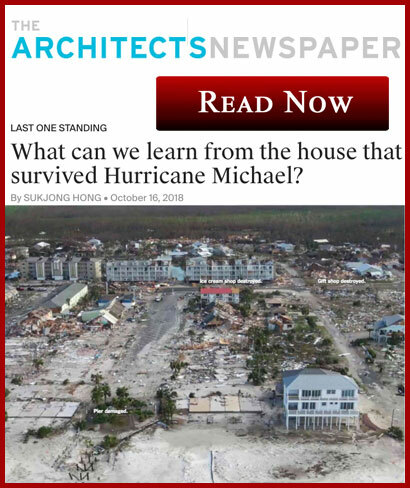 Properly designed and constructed houses, that are designed for the potential conditions they may face in a storm, have a much better chance of surviving with minimal damage. We do not design for what a structure sees every day, we design for what it sees on its worst day. Interesting article about one of the lone surviving intact structures in Mexico Beach, Florida and why it survived.